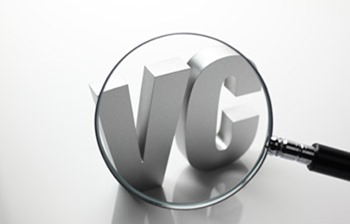 When you have to explain what you do as a venture capital (VC) firm, it definitely means that you are not in Silicon Valley (US) or for that matter in any of developed economies. Perhaps, because the VC industry has not yet set foot in the Middle East and North Africa (MENA) region and it is yet to reach the young businessman and small medium enterprises notice. MENA region has long been seen as a hub for trade, enterprise and exploration. However, with the advancement of technology and improved regional prospects, the region is approaching a turning point for innovation and entrepreneurship. With the majority of population below 30, the economy is prepared to experience high levels of growth and increasing echelon of entrepreneurship. We will witness more and more numbers of young graduates from this region turning up to new business activities, mainly based on technology. It is also time for promoters in the region to propel their businesses to global level. Although small in size, innovative high growth technology startups are very important for economic advancement. What I want to discuss here is that there is a need for capital to fund the ideas of young promoters which they often lack. A key barrier to entrepreneurship is the lack of capital in this region to formalize creative ideas into concrete and realistic business plans. While SMEs constitute the majority of business activity in MENA, they lack the necessary support to expand and develop. According to the World Bank, SME bank lending in the MENA accounts for less than 8% of total lending. In the Gulf Cooperation Council (GCC) states, it is dismally low at 2%. Lack of access to capital is often cited as one of the key constraints to scaling up SMEs in the region. Yet, this gap also represents an opportunity for private equity (PE) and VC firms to provide the financial and strategic support that such firms need. Because of the lack of matured markets for corporate equity funding, the biggest challenge the region faces is the need to educate the entrepreneurs and the institutions about the nuances of equity financing. The SME segment and to an extent the large corporate houses in the region have over the years received family funding because of the concentration of business in the hands of few rich families. The public stock market is not very strong and dynamic and also the size of the majority of the companies is not large enough to be listed and together they lead to inefficient equity market. The large family businesses are run in a proprietorship model and effectively there is no contribution from their part to the financial industry. However, the trend is changing and more and more young people are taking up entrepreneurship with innovative and problem-solving ideas. Till now the startups have mostly sought receiving early seed funds from friends, families and angel investors. The gap remains in the high growth phase of the Company, where the startups can actually grow and expand exponentially. This is a stage where the company can bloom and aspire of a global stage. However, there lies the gap for enterprises looking for Series A & Series B funding amounting between USD 500,000 to USD 10 million. This is where a strong VC market can help the startups to achieve their true potential. I must say that the VC industry is in an exciting stage, but it also has it challenges. The VC firms are expected, in addition to providing funds, to play a more substantial role perhaps even larger than their counterparts in Silicon Valley. They have to act as advisor, mentor or consultant to the young entrepreneurs and provide strategic inputs to the startups. Entrepreneurs need strong support at every stage of the startup process, requiring a great deal of time and effort from VC firms. This is where the dynamics in MENA are different from the rest of the world & we need to strive to work together in a fruitful & organized manner.